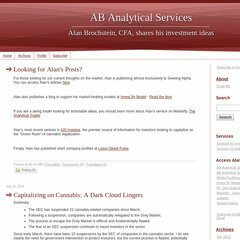 Topics: Ab Analytical Services, Services For Investment Advisors, and Book Review. The estimated 54 daily visitors, each view 1.10 pages on average. It is hosted by Six Apart Ltd California, using Apache web server. Ab.typepad.com's server IP number is 204.9.177.195.